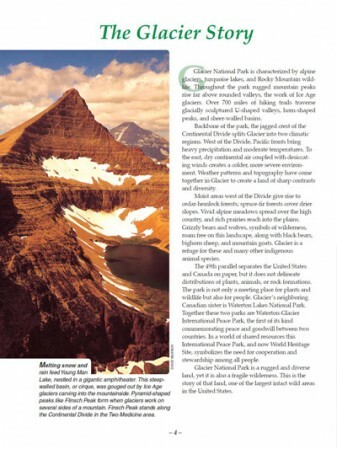 Glacier National Park presents one of the most prime forces that formed this planet--glaciation. 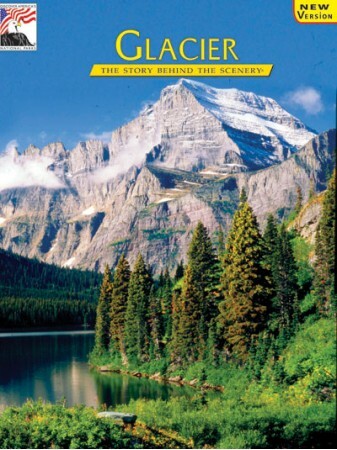 The Story Behind the Scenery brings you the interaction of man with the glacial elements--from original Native Americans to mountain men, miners, loggers and government--it's a tale of drama in a setting of raw beauty. 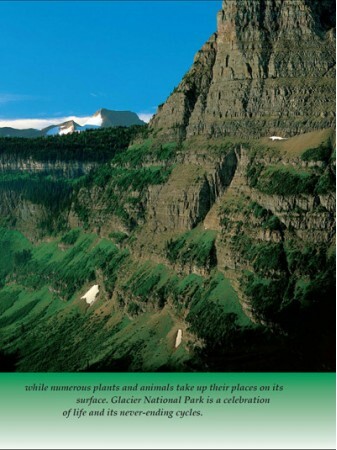 Through this book's beautiful, high definition photographs, you'll enjoy the flowered meadows and the green terraced slopes. But, it is the dramatic carving of rock that we see here as a great force of nature. 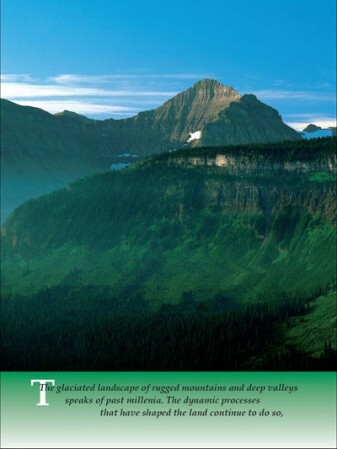 The glaciated landscape of rugged mountains and deep valleys speaks of past millenia. 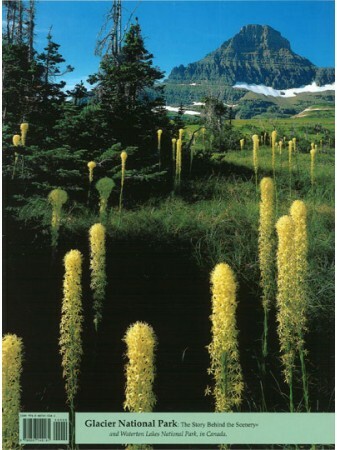 The dynamic process that have shaped the land continue to do so, while numerous plants and animals take up their places on its surface. 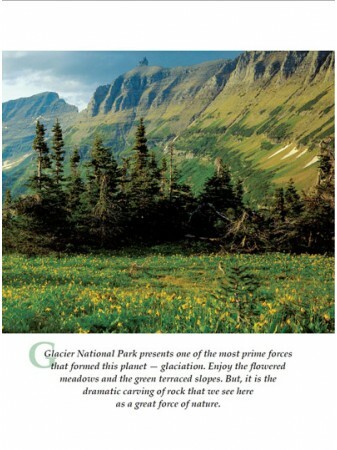 Glacier National Park is a celebration of life and its never-ending cycles. 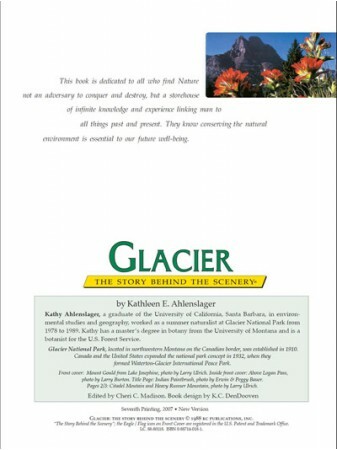 As illustrated and described in The Story Behind the Scenery, the backbone of the park, the jagged crest of the Continental Divide splits Glacier into two climatic regions. West of the Divide, Pacific fronts bring heavy precipitation and moderate temperatures. To the east, dry continental air coupled with desiccating winds creates a colder, more severe environment. 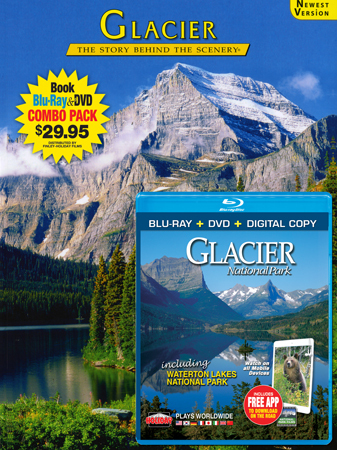 Weather patterns and topography have come together in Glacier to create a land of sharp contrasts and diversity.